Archimedes: Separating Myth From Science | Chaos Sweeps Away the World We Know! The Disaster, current events & Catastrophe Blog. Forecasts for 2014 to 2022. Read tomorrows news today! Plus current economic, commodities, stock indices and financial news. June 25, 2013 – For the last time, Archimedes did not invent a death ray: But more than 2,200 years after his death, his inventions are still driving technological innovations — so much so that experts from around the world gathered recently for a conference at New York University on his continuing influence. Pictured above, an oil painting of Archimedes by Giuseppe Patania, an early 19th century Italian artist, hangs in Palermo. The death ray legend has Archimedes using mirrors to concentrate sunlight to incinerate Roman ships attacking his home of Syracuse, the ancient city-state in the southeast Sicily. It has been debunked no fewer than three times on the television show “Mythbusters” (the third time at the behest of President Obama). Rather, it is a mundane contraption attributed to the great Greek mathematician, inventor, engineer and military planner — the Archimedes screw, a corkscrew inside a cylinder — that has a new use in the 21st century. For thousands of years, farmers have used this simple machine for irrigation: Placed at an angle with one end submerged in a river or a lake, the screw is turned by a handle, lifting water upward and out at the other end. Pictured above, the hydropower generator at Dartmoor National Park in Devon, England, water flows in at the top and turns the Archimedes screw. 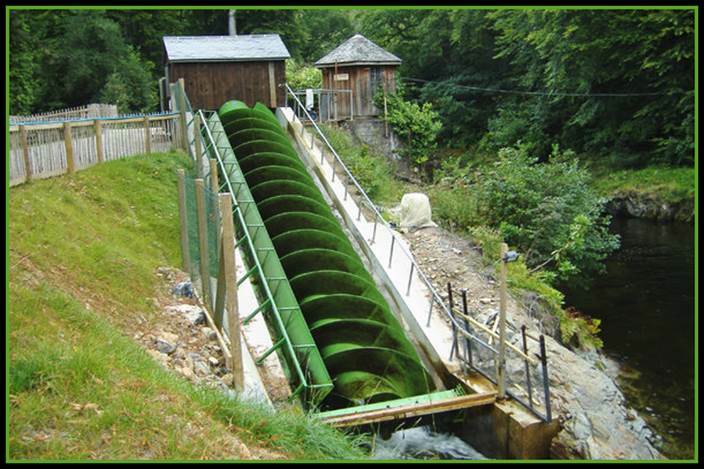 A couple of decades ago, engineers found that running an Archimedes screw backward — that is, dropping water in at the top, causing the screw to turn as the water falls to the bottom — is a robust, economical and efficient way to generate electricity from small streams. The power output is modest, enough for a village, but with a small impact on the environment. Unlike the turbine blades that spin in huge hydropower plants like the Hoover Dam, an Archimedes screw permits fish to swim through it and emerge at the other end almost unscathed. Such generators have been built in Europe, including one commissioned by Queen Elizabeth II of England to power Windsor Castle; the first in the United States could start operating next year. And Archimedes’ ideas are showing up in other fields as well. “He just planted the seeds for so many seminal ideas that could grow over the ages,” said Chris Rorres, an emeritus professor of mathematics at Drexel University, who organized the conference at N.Y.U. (New York University). A panoply of devices and ideas are named after Archimedes. Besides the Archimedes screw, there is the Archimedes principle, the law of buoyancy that states the upward force on a submerged object equals the weight of the liquid displaced. There is the Archimedes claw, a weapon that most likely did exist, grabbing onto Roman ships and tipping them over. And there is the Archimedes sphere, a forerunner of the planetarium — a hand-held globe that showed the constellations as well as the locations of the sun and the planets in the sky. “Here was someone who just changed how we look at the universe,” Dr. Rorres said. Only a handful of Archimedes’ writings survive, and much of what we think we know about him was written centuries after his death. As with the mirrors, the underlying principle works. But in practice, the tiny difference in volume between a crown made of pure gold and one made of a mixture of gold and silver is too small to be reliably measured. Some of the talks at the conference were about using present-day ingenuity to figure out what Archimedes actually achieved in antiquity. Michael Wright, a researcher at Imperial College London, has been trying to decipher how the Archimedes sphere showed the night sky. Although it is described in historical writings, no pieces or even drawings of it have survived. Others had already made celestial spheres, globes that show the positions of the constellations. If this description is taken literally, it would seem that Archimedes figured out the gearing needed to mimic the motion of the planets, including the retrograde motion where they appear to stop and reverse direction for a while before proceeding in their usual direction. “This instrument was just like any other celestial sphere, except with the addition of indicators for the Sun, Moon, the planets moving over the sphere and a mechanism inside the sphere to move them,” Mr. Wright said. In the spring, he began building his version of the Archimedes sphere. He presented it in public for the first time at the conference. Dr. Rorres said the singular genius of Archimedes was that he not only was able to solve abstract mathematics problems, but also used mathematics to solve physics problems, and he then engineered devices to take advantage of the physics. “He came up with fundamental laws of nature, proved them mathematically and then was able to apply them,” Dr. Rorres said. Archimedes oversaw the defenses of Syracuse, and while death ray mirrors and steam cannons (another supposed Archimedes invention debunked by “Mythbusters”) were too fanciful, the Archimedes claw appears to have been a real weapon used against the Roman navy. 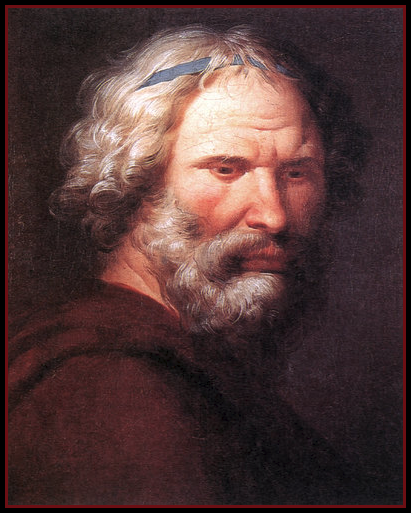 It is very likely that it took advantage of two scientific principles Archimedes discovered. With his law of buoyancy, he was able to determine whether a paraboloid (a shape similar to the nose cone of a jetliner) would float upright or tip over, a principle of utmost importance to ship designers, and Archimedes probably realized that the Roman ships were vulnerable as they came close to the city walls. So using an Archimedean principle — the law of the lever, which enables a small force to lift a large weight, as in seesaws and pulleys — a claw at the end of a chain would be lowered and hooked into a Roman ship, then lifted to capsize the ship and crash it against the rocks. Of course, that bit about the circles is probably also a myth. (Credits – Kenneth Chang for The New York Times). This entry was posted in Italy and tagged Archimedes, Archimedes Screw, Drexel University, Greek mathematics, Imperial College London, new york university, Roman, Syracuse. Bookmark the permalink.